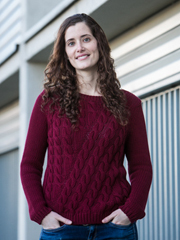 I am an Assistant Professor in the Computer Science Department at Universidad de Zaragoza, and a member of the Graphics & Imaging Lab of the I3A Institute. Before I was a postdoctoral researcher at MPI Informatik, and a member of the Max Planck Center for Visual Computing and Communication. My research interests span computational imaging and displays, virtual reality and applied perception. Including: modeling and perception of appearance, understanding user behavior in virtual environments, high dynamic range imaging, stereo and multiview displays, and light fields. I co-chair the SIGGRAPH Asia 2019 Technical Briefs & Posters Programs. We look forward to your best work being presented in Australia! Submissions deadline is August 12th. We just presented our work on 6-DoF video at IEEE VR 2019 in Osaka: "Motion parallax for 360° RGBD video". I will serve on the SIGGRAPH 2019 Technical Papers Committee. Our work on understanding user behavior in virtual environments has been presented at IEEE VR 2018: "Saliency in VR: How do people explore virtual environments?". I will serve on the SIGGRAPH 2018 Technical Papers Committee. We recently presented in LA our paper accepted to SIGGRAPH 2017: "Movie Editing and Cognitive Event Segmentation in Virtual Reality Video". Our paper on gamut mapping of BRDFs was accepted to EGSR 2017: "Attribute-preserving gamut mapping of measured BRDFs". Two papers accepted to SIGGRAPH Asia 2016: "An Intuitive Control Space for Material Appearance" and "Motion Parallax in Stereo 3D: Model and Applications". Our work on femto-photography featured as a Research Highlight in the September issue of Communications of the ACM magazine: "Imaging the Propagation of Light Through Scenes at Picosecond Resolution". 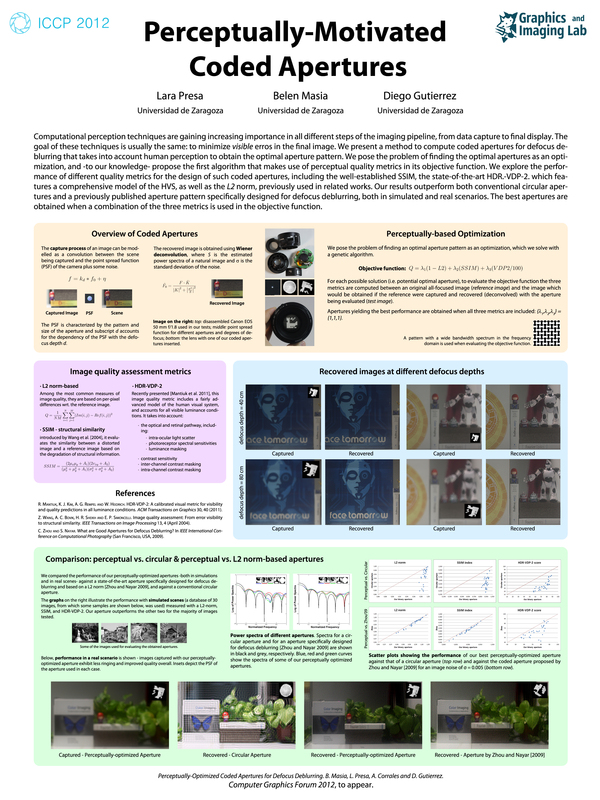 Our paper "Convolutional Sparse Coding for High Dynamic Range Imaging" has been accepted to Eurographics 2016! [PDF [27.1 MB]]. Update: It received an honorable mention. New job: I am an Assistant Professor in the Computer Science Department at Universidad de Zaragoza! I am the recipient of one of the two Eurographics Annual Awards for Best PhD Thesis this year! Official announcement will be at the Eurographics 2015 Opening Session in Zürich. I have obtained a Max Planck-Prince of Asturias Mobility Programme Grant. I will be a visiting researcher at the Computer Graphics Group in the Max Planck Institute for Informatics this Spring. I was selected as one of the top ten Innovators Under 35 in the MIT Technology Review Spanish Edition (sorry, only in Spanish). Had a great time in Mumbai for the MIT Media Lab India Initiative Design Innovation Workshop. Great ideas and tons of enthusiasm and talent! On December 11th, 2013, I got my Ph.D. in Computer Science. A version of the thesis—Computational Imaging: Combining Optics, Computation, and Perception—can be found here. 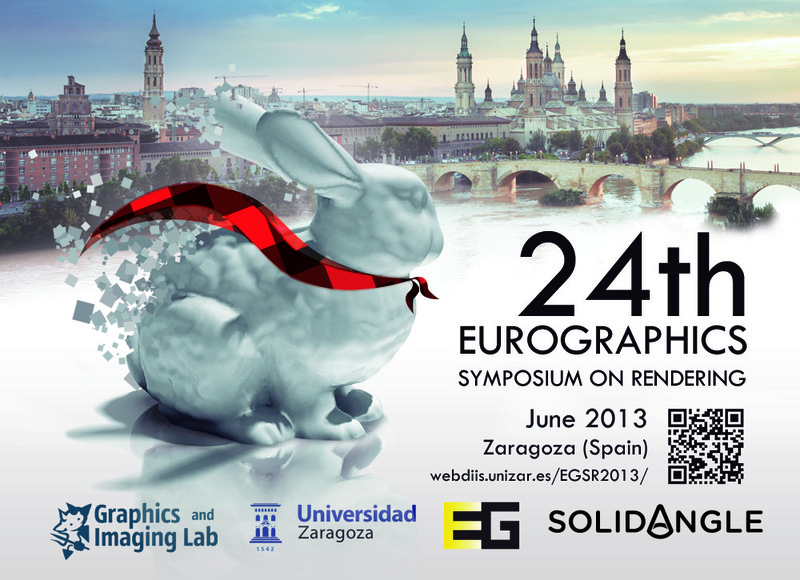 EGSR 2013, held in Zaragoza, comes to an end after three days of great papers, talks, discussions (and nightlife fun!). Back from three amazing months as a visiting student at the Camera Culture Group, MIT Media Lab, with Prof. Ramesh Raskar. The CFP for EGSR 2013 is out! During CVM 2012 I visited Prof. Shi-Min Hu's lab at Tsinghua University - great work and great hosts. Thank you! Last November I had the pleasure of visiting Prof. Qionghai Dai's group at Tsinghua University and enjoyed fruitful discussions and great hospitality. Thanks! We presented a paper, a tutorial, and a poster at CEIG 2012 in Jaen (Spain). Check the publications page. Luis successfully (9.8/10) defended his Master Thesis. We presented two posters at ICCP 2012 in Seattle. Check them out here and here. I am a 2012 NVIDIA Graduate Fellowship recipient (NVIDIA blog). Our article "Perceptually-Optimized Coded Apertures for Defocus Deblurring" has been accepted for publication at Computer Graphics Forum. Project page and pre-print coming soon. Update: Project Page. Since January I'm back in Spain after an exciting and extremely enrichening four-month stay at the Camera Culture Group. I'm currently a Visiting Student at the Camera Culture Group (MIT Media Lab), led by Prof. Ramesh Raskar. Our article, "Destroy All Jaggies", featured on Game Developer Magazine's June/July issue. Adrian successfully (9.0/10) defended his Master Thesis. Lara successfully (9.7/10) defended her Master Thesis. 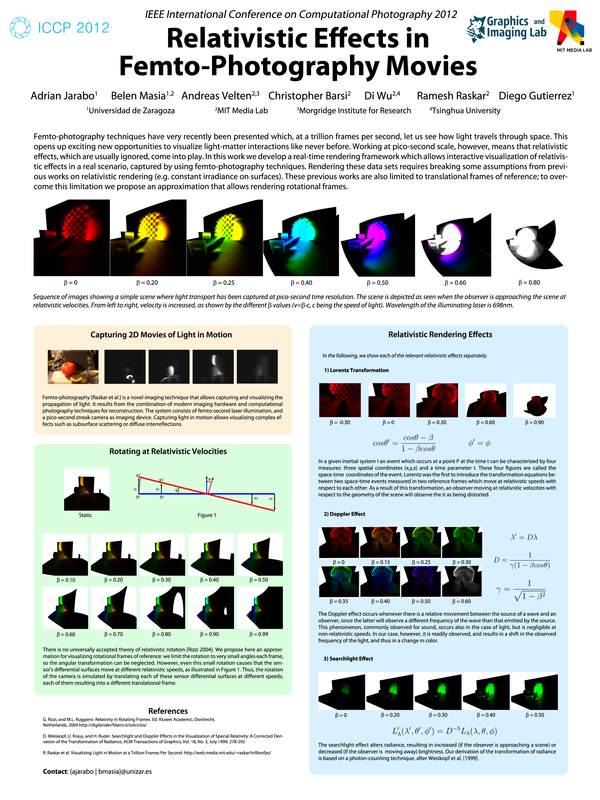 Our paper "Coded Apertures for Defocus Deblurring", presented at SIACG 2011, was proposed for extension and re-submission to Computer Graphics Forum.